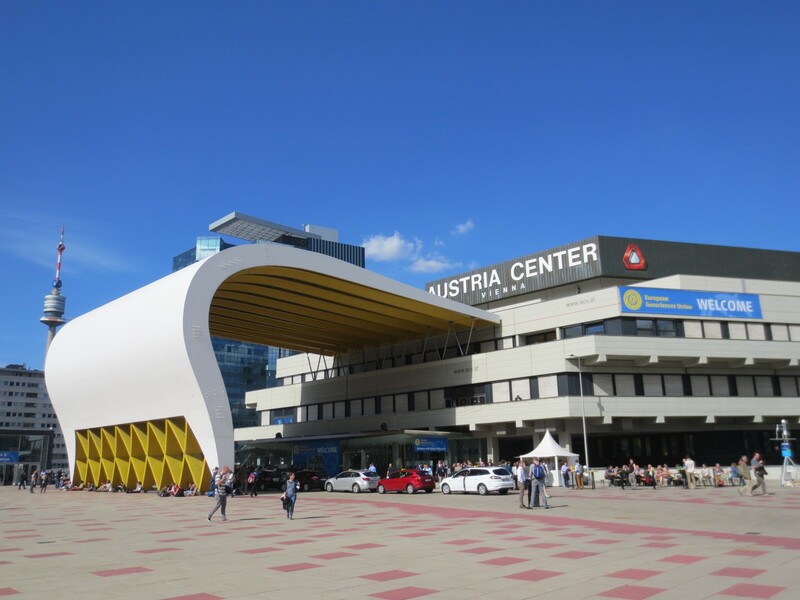 In April, the EGU returned to Vienna for their annual Congress meeting. Over 11,837 scientists from 108 countries descended in the Vienna International Centre for the six-day conference. Delegates enjoyed over 4,870 oral presentations, 8,489 posters, and 705 PICO presentations. That’s a lot of science! Science and ice cream for everyone! 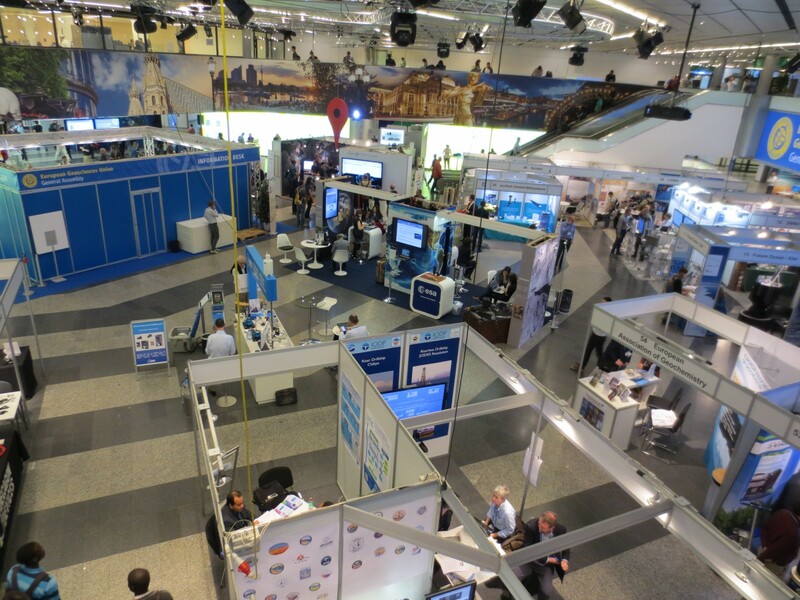 As always, the EGU were excellent hosts and organised over 300 side events that included a range of activities, workshops, and networking events for all delegates. Among this year’s favourites were the Geo Cinema, Science Communication workshops, and Ask the Expert panel sessions. Another added bonus this year was the ice cream stall in the foyer – my personal favourite was the pumpkin seed flavour (tastier than it sounds, I promise). With 23% of delegates being students, and a strong Early Career Scientist contingent, the Young Scientists’ lounge proved very popular, and provided a great social space to grab a coffee, talk to friends, finalise PowerPoint slides, and peruse the latest job adverts. The exhibition hall where delegates can peruse the latest journals, textbooks, and equipment. And buy their ice creams! The Climate division hosted over 75 scientific sessions, covering climate science research from the poles to the tropics. We also enjoyed some excellent workshops including an ‘Introduction to climate modelling’ session and a ‘Meet the Editors’ panel discussion with Professor Carlo Barbante (Editor of Climate of the Past) and Professor Axel Kleidon (Editor of Earth System Dynamics). Thanks EGU and see you next year! Amid the scientific sessions and workshops, the EGU is always a great place to catch up with old friends and colleagues, and make new collaborations. There is also time to sample the delights of Vienna, while discussing research projects over a Wiener Melange. After another impressively productive and enjoyable conference, we are all looking forward to EGU Vienna 2016! A Climate Modeling Workshop in the South of France! 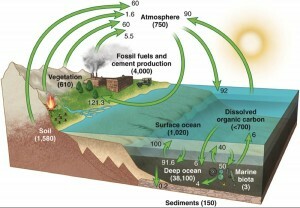 Climate and its effects on the past, present and future of the human race is a heated, topic of debate these days. There are many competing interests at stake from governments and politicians to the big oil and energy companies of the world to the scientists trying to work on climate change problems to the people of the world most acutely affected by these changes on the Earth we live. Thus, I think it is extremely important that everyone works together in this day and age to bring together what each individual party excels at to the table and to combine these things into a powerful plan to help mitigate the effects of climate change for future generations that will call Earth home. This is why a group of young and senior scientists gathered in Aix-en-Provence, France the last week of January: to pave the way forward for future generations to investigate, reflect upon and solve climatic problems that plague our civilization. It was quite a diverse group with PhD students, Post-Docs and professors from all over the world including France, Germany, the U.K., Spain, The Netherlands, the U.S., Canada, Italy and many others. It was not only diverse culturally, but also in the geologic disciplines we come from with all of the big fields in representation such as isotope geochemistry, climate modelers, organic geochemists, geochronologists and thermochronologists, sedimentologists, structural geologists and of course many others. Building a bridge between science and the local community through outreach. It is quite an extensive and connected project and I feel very grateful for the opportunity to be involved in something so expansive and important. Anyway, part of our training is to attend these “mini-workshops” as a group every few months. iTECC has organized an Earth Observation Workshop, an Isotope Geochemistry workshop, a so-called “Research in Progress” workshop as well as a Thermochronology workshop, among others. These workshops serve as opportunities to expand our knowledge base and make connections between our specific projects/fields and new geo-disciplines that maybe we would have not made otherwise. The climate workshop that we are now talking about in Aix brought together, of course iTECC, but a number of professors, scientists and PhD and Post-Docs outside of iTECC. For example, the University of Chicago, University of Bristol, University of Paris Saclay, the University of Bergen, GFZ Potsdam and others. Jérémy Jacob (ISTO): Should representativness of sedimentary lipid and their dD values be discussed with palaeoclimatologists? The goal is to model these complex systems at the present time but also into the recent and geologic past and into the future. This gets complicated quickly with all of the factors involved. Of course, all of the students and post-doc’s were able to take away some amazing new information about unfamiliar analytical techniques or maybe remote sensing or even new knowledge about these popular(?) and infamous(?) Global Climate Models (GCMs). But I think what I took away from this workshop the most was first pointed out by Didier Paillard in the first lecture and then confirmed by many of the other modelers present, especially since I come from a modeling background. Didier really wanted us to understand that it is ok for our models to be wrong, or that is, not represent the data or findings that we want to compare the model too. And, in fact, he expressed to us that we should want our models to be wrong! One type of GCM displaying the sea surface temperature and the sea ice concentration. And I think these lessons that we learned in this climate workshop and in general in our studies our especially important as young scientists in crucial fields such as climate change, where I tend to think that some (but not all) of the older generation, especially those outside the technical fields, have not learned these lessons and experienced them at work. Thus, we are trying so very hard to find the perfect solution to the world’s climate problems in one try, that, unfortunately, we do not learn from our mistakes and many times perpetuate them over and over again. But maybe there is hope with our generation that can take these lessons and knowledge about climate change and how it works and use it find sustainable solutions for the future. Who knows! But I do know I am very much looking forward to the next iTECC workshop! Stay up to date with iTECC and what we are doing via our website’s blog and social media pages! Welcome to the world of climate: past, present and future! 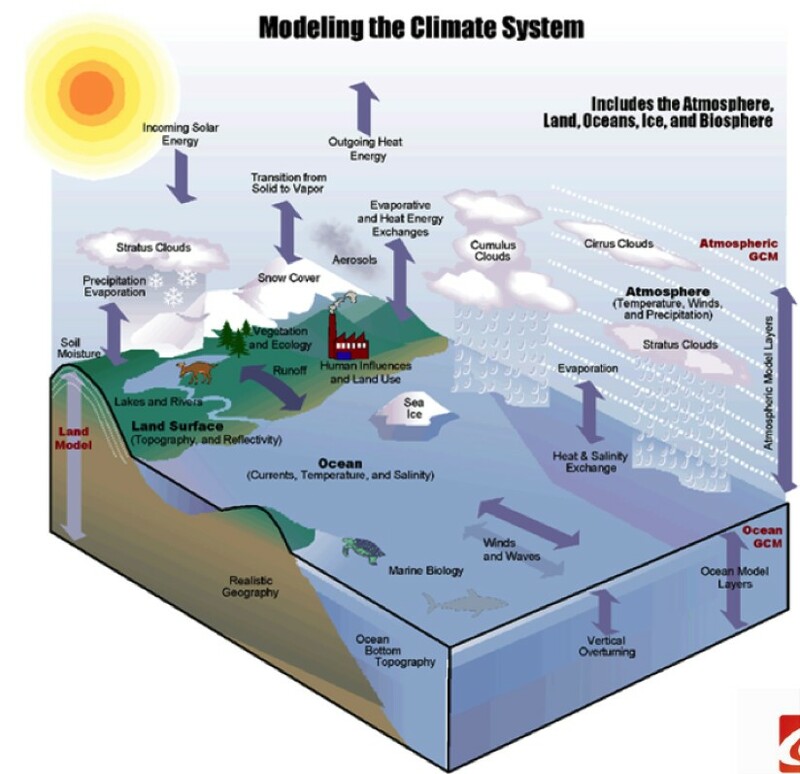 Just like the Earth’s ocean-climate system itself, the climate of climate science is ever evolving and changing, both politically and scientifically. On the 21st of December 1872, HMS Challenger set sail from Portsmouth on a three year long voyage of discovery. The pioneering work that happened during those intrepid months aboard, laid the foundations for the climate science that happens today. 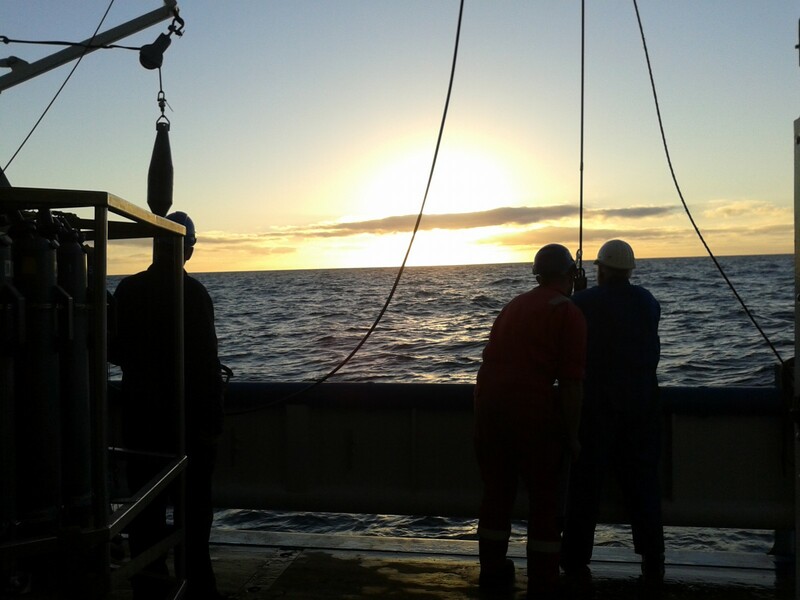 I recently embarked upon a research cruise (or as we call them, a scientific campaign), and each time we sent the coring barrel 2 km – 3 km down into the abyss below and an hour or so later hauled our finds onboard, it was like unwrapping a Christmas present when we split open each core, due to the potential of new discoveries to come. So, I can only imagine the excitement each time the scientists aboard HMS Challenger cast their nets, or measured their next sample. It was during that very first oceanographic voyage that we learnt that basically, the chemistry of the world’s oceans was roughly (give or take) the same, we learnt how salty the oceans were and in the years that followed that cruise, the diversity of life in the oceans started to reveal itself. 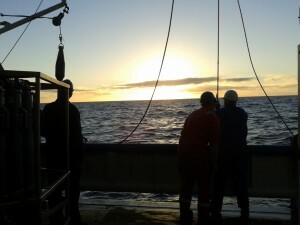 Even now, we discover new species as we sample further into the abyssal depths (http://www.coml.org/), highlighting how much we don’t know about a resource that is so precious to us. But I digress… climate science has progressed in leaps and bounds over the past few decades and likely much further beyond the wildest dreams of those who participated in the HMS Challenger expedition, which was embarked upon over a century ago. Facilitated by step changes in the underpinning technologies and funding initiatives, we now have long-term monitoring programmes that aim to measure the current state of our oceans, we can combine remote satellite and radar data with ground-truthing measurements in the cryospheric (glacial) parts of our globe, we can assess future impacts by using highly sophisticated computer simulations, and we can test these by looking at past climate changes. 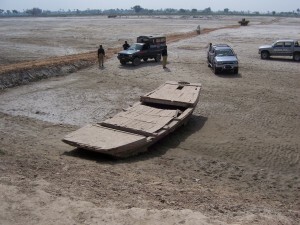 These past climatic changes can be assessed by measuring proxies. 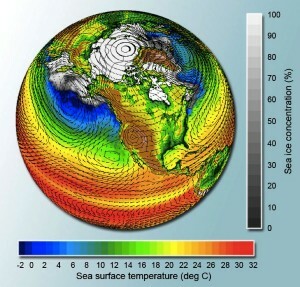 We can use ice cores to tell us about past temperatures and atmospheric gas concentrations, we can use microfossils in the marine sediments to indicate past oceanic temperatures and salinity, and we can use tracers and sediment properties to better understand how oceanic circulation patterns differed from the present-day. We can use tree rings, lake proxies and cave records to reconstruct precipitation patterns, and we can also turn to geomorphology, sedimentology and geophysics to inform us of past ice limits. 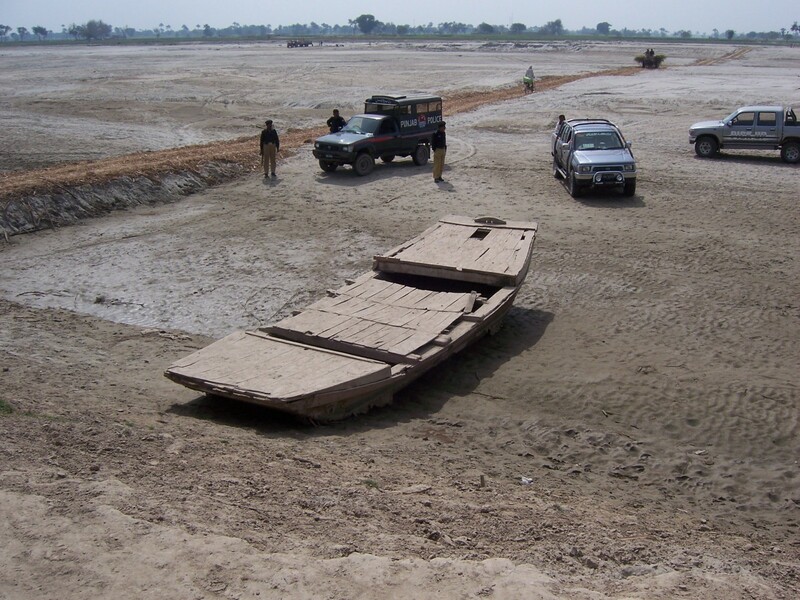 For the climate of the last millennium, further evidence can be found in archaeological remains, as well as in historic records, and for the past few decades, we can generate temperature series from instrumental measurements. By knitting together the information within these different disciplines, there is a thriving community focussed towards driving our understanding of all aspects of the Earth’s climate, and the Intergovernmental Panel on Climate Change (IPCC) and the EGU Climate Division: Past, Present and Future are key instruments to do exactly that. Historic and instrumental records of climatic change demonstrate that global average temperatures have risen by 0.72 ºC since the 1950’s (IPCC, 2013) and that as a response to this, mountain glaciers, as well as the Greenland and Antarctic ice sheets are diminishing at an astonishing rate. 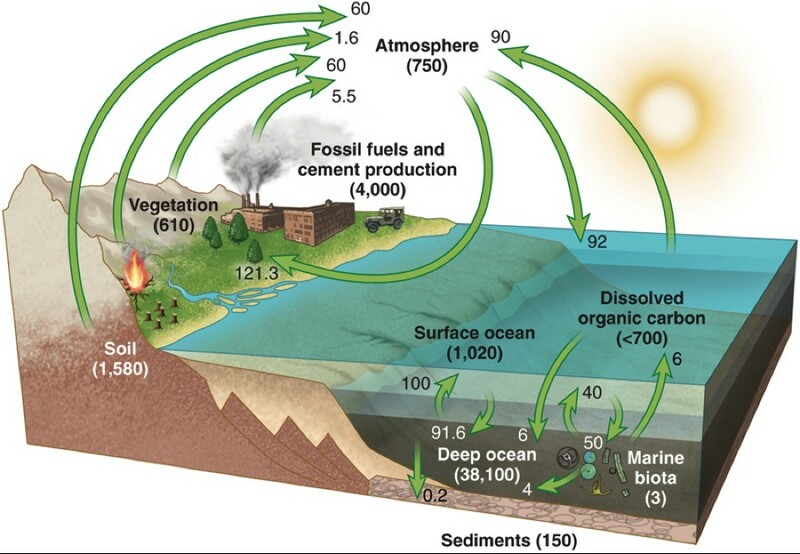 According to the IPCC (2013), projected rates of increased atmospheric CO2 concentration suggests that by 2100 we might experience 0.5 – 4 ºC of further enhanced warming and 0.5 – 0.9 m of sea-level change. By 2050, we might expect an almost ice-free world. 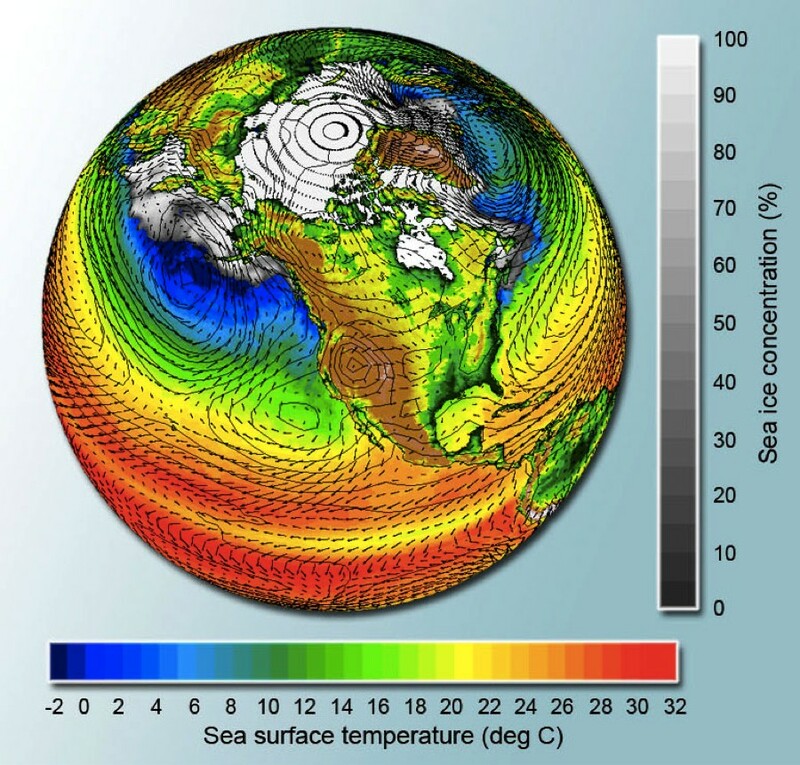 The EGU-CLIMATE blog aims to take you through a journey of discovery as to how we put all the pieces of the climate jig-saw puzzle together.